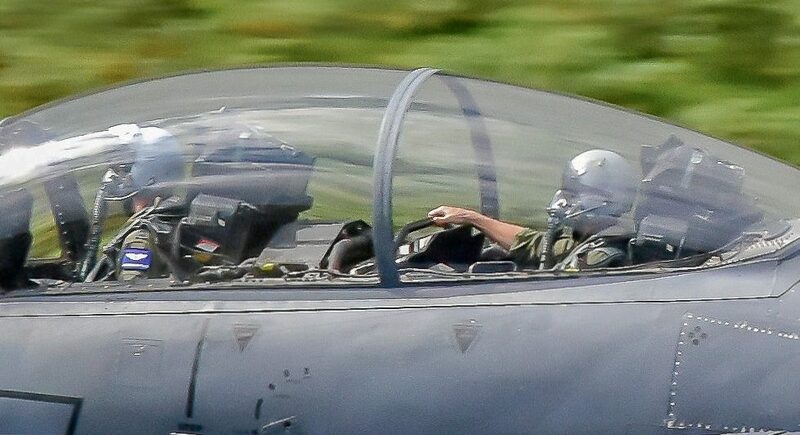 These incredible photos show a US airman chilling at the controls of a plane – despite travelling at 575mph just 500ft above the ground. 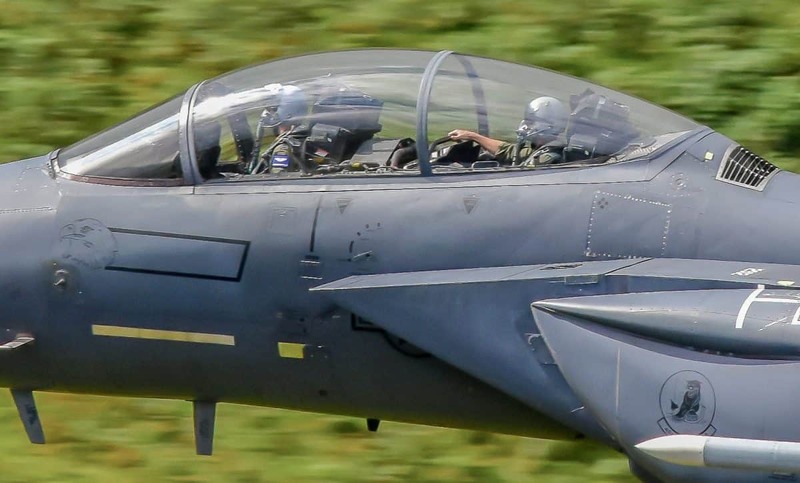 Amateur photographer Wayne Lewis, 38, was plane watching when he spotted the U.S Air force F15E ‘Strike Eagle’ Fighter jet so grabbed his camera. The twin seat aircraft carries a pilot in the front and the WSO – weapons systems officer – in the rear. But the WSO seems to be relaxing and taking in the view, with his sleeves rolled up, and one hand stretched out in front. It’s despite the pilot having just spun out of a barrel roll – showing off the plane’s ‘hardpoints’, where missiles and bombs can be mounted. And the fact the plane is flying at approximately 500ft above the ground at around 575mph. Teacher Wayne from Welshpool, shot the pictures in a military low-fly area in the mountains of North Wales near to Dolgellau. The plane was from RAF Lakenheath, in Suffolk.